Hi, I'm Roland Stewart. Welcome to my profile! Roland Stewart is President, Chairman and Founder of Paramount Investments. His firm specializes in stable, high yield commercial real estate investments focused primarily in multifamily and retail. Paramount's holdings include fixed-income investments in public and private companies. Mr. Stewart has over 35 years of experience in the real estate industry and maintains substantial ownership interests in and is the Chairman of a number of privately held LLC's and LP's throughout North Texas. His experience includes all areas of property identification, development, property management and asset divesture. In 2011 Stewart founded "The Resorts" multi-family communities, which consist of 2,300 Class-A residential units located in six strategic DFW communities. 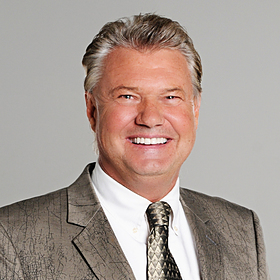 Stewart served as President of the Southern Region of ERA Realty USA Corporation. He has successfully developed and operated numerous commercial,Industrial, Multi-family, Retail and residential properties with a current aggregate portfolio holdings in excess of a Billion US dollars. He personally handled the negotiation, acquisition, construction, marketing and leasing of investment properties that achieved returns averaging 30% annually. Stewart has designed and managed several multi-use master plan developments during his career. Some of the more notable developments include a $75M master planned community known as "The Lakes at Matlock" in Arlington, Texas, a $60M master planned urban lifestyle center in Duncanville, Texas, a $22M luxury gated multifamily development in Cedar Park, Texas and a set of three multifamily housing projects in the DFW metroplex valued over $90M. Mr. Stewart was an adjunct professor at local colleges in the fields of Real Estate Finance, Law, Appraisal, Principals & Practices, and Investments. He is licensed in the State of Texas as a Real Estate Broker and as a General Contractor. He is a member of the Texas Association of Realtors and the National Association of Realtors, and has been actively involved in the Chamber of Commerce. He is Past President of the Metro Rotary Club, Past President of the Grand Prairie Industrial Development Board, and Past Commissioner of Cedar Hill Planning/Zoning. Stewart has traveled around the world and is fluent in German. His interests include flying helicopters, painting, and serving his community. He is an active member of Milestone Church located in Keller, Texas and resides with his family in Southlake, Texas.